What is the best Radisson Rewards redemption? In my article yesterday, I reviewed ‘the facts’ of the Radisson Rewards loyalty scheme. This post is my personal opinion, highlighting areas where I think you might want to focus. I like Radisson Rewards. Whilst I rarely pay to stay in their hotels (the main exception is at European airports where Radisson and Sheraton are the dominant ‘connected to the terminal’ airport chains), I frequently transfer over Amex Membership Rewards points for reward stays. They are my ‘go to’ first choice when we have friends or relatives coming to London. Radisson Rewards compares favourably with other chains when you look at how much you need to spend to earn a free night in a luxury hotel. When transferring from American Express, a 70,000 point five-star redemption would only require 23,333 Amex points at 1:3 – no other hotel transfer is anywhere near as good. You get free Radisson Rewards Gold status if you have an American Express Platinum charge card. At a Radisson Blu, this can lead to a pleasant result – if you get upgraded to a ‘Business Room’ at a Radisson for being Gold,you also get free Pay TV, free mini bar and an in-room Nespresso machine. You may even get free breakfast, although some hotels like to remove this benefit from the business class room benefits if they upgrade you. The Park Plaza properties in London are relatively low profile but surprisingly modern and high quality. The Park Plaza Westminster Bridge in London is very pleasant as I reviewed here. 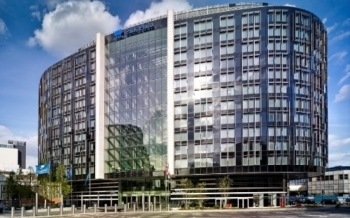 There are now four Park Plaza hotels in the area around Waterloo station! Weirdly, the Park Plaza brand is not actually owned by Radisson but all of their hotels are part of the programme. 20 points per $1 spent means that points are very easy to earn. The ability to top up with an Amex Membership Rewards transfer means that you shouldn’t end up with any orphan points. 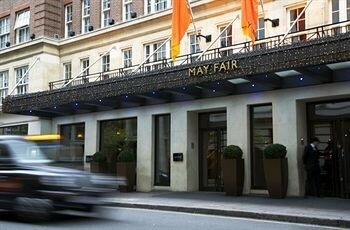 Even if you have no status, you would only need to spend £2,500 to earn 70,000 points for a free night in a London five star hotel which is a return of around 10%. Status bonuses and promotional points would bring this amount down even further. Reward rooms are generally OK to find. They do NOT have ‘last room availability’, so seeing cash rooms does not mean you will see reward rooms. The ability to spend more points for better rooms, available at some hotels, is good. It is the only chain to have specific ‘family room redemptions’ which have the space for extra beds for children. The recent 2017 loss of the 2-4-1 and 4-4-2 deals for Gold card holders was a shame. I remember a stay at a Radisson in Riga about ten years ago, where I did a 2-4-1 stay. I got two nights for £40 in total AND got upgraded to a ‘Business Room’ with free mini-bar and breakfast! Because the Radisson chain outside the US was owned by the airline SAS at one point, there are a lot of properties in Scandinavia. A lot of major global chains ignore that part of the world so it is a good programme if you are planning a trip. Did you know that IHG has NO hotels in Sweden or Norway and only one in Denmark? Whilst there are some impressive ‘flagship’ Radisson Blu properties (Berlin, Chicago), many are old and tired. The Radisson Blu Royal Viking in Stockholm where I stayed last month had depressingly small rooms even though I was theoretically in a refurbished Business Room. The brand desperately lacks ‘wow’ properties (or even ‘impressive’ properties) in many places including North America, although you will usually find a hotel of some standard if you need one. There are few properties of any sort in Asia. The benefits for mid-tier Gold members, if you don’t get upgraded, are pretty much nil apart from the bonus base points. I have generally done OK with upgrades but I am working off a very small sample set of stays. I didn’t get anything at the impressive Radisson Blu Edwardian in Manchester or the dumpy Royal Viking in Stockholm, my only two stays in the last 12 months. My next booking is Zurich Airport in May. Radisson Rewards has a nasty habit of changing the rules without notice. In 2013 it devalued the ‘points to miles’ conversion rate overnight, with no notice. This was especially unfair because the rate improved as you collected more points, meaning that collectors were encourage to hold off redeeming their points for miles until they reached a high balance – only to have the rug pulled out. The June 2015 changes were announced online in advance but members were NOT emailed about them. The removal of the 241 deal for Gold members in early 2017 also happened with no notice. Whilst I don’t like saying it, history shows that you cannot trust them and you should not leave more points than necessary in your Radisson Rewards account. Earn and burn. If Radisson Rewards was not an American Express partner (offering me a free Radisson Rewards Gold card via my Amex Platinum and a generous points transfer ratio from Membership Rewards), I would probably ignore it. As it is, I am happy to pick and choose the best properties from their redemption list for friends, family and myself whenever I need to, and I have always been happy with the experience. I would have no qualms being told I had to stay in a Radisson Blu property on an occasional business trip. I know that I can always top up the points I will earn with additional Amex points and redeem for a decent European hotel somewhere. You can find out more about Radisson Rewards on their website here. As with other chains the best value can be had at the lower end. I’ve had significant value from Park Inn redemptions at 9000 points when rates have been very high- e.g. Cardiff during cricket. The hotels are nothing special but fine if you just need somewhere to sleep! Agree with this. I stayed at the park inn Nottingham a few years ago during the Ashes cricket. Pretty bog standard hotel, although they have a small pool, the breakfast is good and I was ‘upgraded’ to a slightly better room due to being Gold. Cash rates were something like £245 per night – or 9,000 points! Bargain. I posted a couple of weeks ago but here’s the right place now. Our secretary booked rooms for my team at a Radisson Blu for an offsite. On checkout, I then put multiple colleagues’ rooms on my folio and received all of the points. No such restrictions it seems like at Hilton etc. Knowing this, it’s potentially now another option to hotels.com for when I book multiple rooms. I got one bottle of water in Niagara Falls a couple of weeks ago as Gold. If I’d actually earned that status I’d have been pretty peeved! Completely guessing here but could it have been http://www.abnsave.com/discounts/hotels/radisson/ ?? Just returned from a trip to New York where I stayed at both the Radisson Martinique and the new Cassa hotel. Both are very central in midtown Manhattan. My experience at the Martinique where we stayed the 1 night was very poor. I am awaiting a response from their general manager. From what I’ve heard the hotel is likely to leave the Radisson chain, I don’t think it will be a big loss! The Cassa on 45th Street was a complete contrast, great customer service, room upgrade, early check in, the front desk were genuinely brilliant with advice, luggage storage and free printing. Free tea and coffee served in the mornings in the lobby area. Modern rooms, good location and overall a great stay. To top it all off the property is now cheaper to book using points costing 50,000 vs. previous redemption rate of 70,000. The Martinique remains 70,000. Definitely a great redemption option in New York where hotels in peak periods can get expensive. The redemption rates are also free of tax and extra charges. Martinique becomes a Hilton Curio in Autumn. Thanks! We are at the Cassa next week for 3 nights. Very encouraged by your experience.